If you’re a small business owner, it’s likely you don’t have large amounts of cash to throw around for literally anything at all. Many small business owners invest their life savings into their business initially, going without paying themselves and suffering for the good of making their business work. Everything relies on a tight budget, and it’s likely they don’t have a lot of cash to use towards marketing campaigns. This kind of situation creates a loop. There’s no cash to market, but no marketing means no cash coming in. What do you do in this situation? Now that the Internet has exploded, and social media has taken off like never before, marketing yourself online is cheaper than ever before. In the older days of the Internet’s youth, buying online advertisements were something reserved for the extremely wealthy. Now online advertising is as simple as setting up a social media account. But this doesn’t mean it’s entirely free. You can still funnel a lot of cash into social media strategies and achieve success. The goal is, though, achieving the most success possible using the least amount of money. If you’re unsure of how successful social media is for marketing, by the way, take a look at these figures. 88% of SMBs in hyper growth use social media to drum up interest about their company. 72% of Twitter followers are found to be more interested in making future purchases from businesses they follow on social media. Social media is used by over one million SMBs in North America alone. So there you have it. Social media is your pathway to success – now let’s talk business. Before you go any further, answer these questions first. 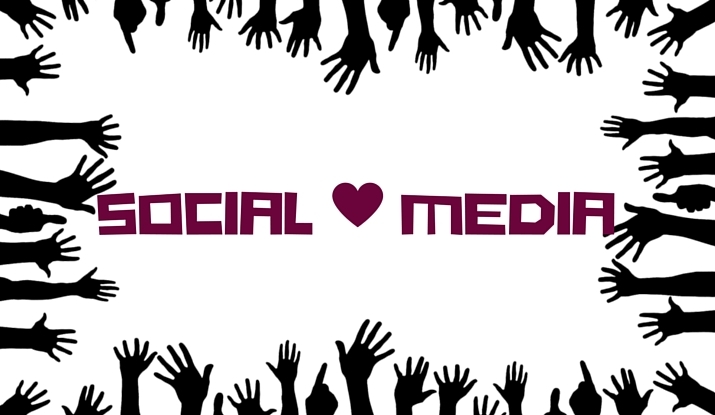 What do you hope to achieve for your business by using social media? How will you measure whether you have achieved your goal or failed? What are you currently paying for social media marketing, if you are at all? Potential achievements you can easily acquire through social media are leads, visibility, signups, social shares and brand awareness. Typical ways managers measure social success are via traffic statistics, conversion stats, impressions and engagement numbers. If you are paying for social media marketing right now, are you happy with the amount you’re paying vs. the results you’re being given? Do you think continuing this strategy will ever be worth the investment? Weigh the implications of WANTING results vs. NEEDING results. Everyone wants fast results, but do you need them for success? Sometimes yes, sometimes no. Think about it. The answers to these questions can help you figure out just how much social media help you need, the areas to focus on and how much you can (or are willing to) pay for social media marketing. If you want to get to the meat of the problem with some quick-to-ingest tips, these six strategies can fit into any social media budget – big or small. There are a lot of social media sites out there. Can you name seven? Ten? Twenty? Even looking past the major players like Twitter and Facebook, outliers like Ello can also be used as a marketing tool. A common thought among business owners is that the more sites they use for marketing tools, the greater the reach. When you’re in your early stages of marketing, don’t go big or you’ll go home. Stick to major sites you know will work for your business. Stick to the big three to start with: Twitter, Facebook and Instagram. Tools for social media can save you time AND money when it comes to management options. Social media marketing tools can help you better understand your audience, your engagement stats and what strategies you’re working on are working for you. eClincher is the obvious choice, but we also recommend using it in tandem with other social media tools like Buzzumo (popular content locator) and Feedly (content curation tool). Host a Twitter chat. When you host one of these babies, you create a direct link between you and your customers. This makes you more open to feedback and comments, and customers simply love that. Influencers on Twitter are the people who shape the culture of social media. When you get noticed by an influencer, this can help your visibility in a big way. If you have a small budget, don’t worry. Many influencers are willing to work with you on deals and product sponsorships – or even if they can only retweet a few tweets of yours, that’s something. B2B lanes are great methods of success. When you co-produce content with other businesses, you’re doing a favor for both of you. If you can figure out a way to partner with a bigger business – also known as a business with more resources and money – then you’re setting yourself up for success. Try experimenting with different paid advertisements and look for opportunities to become an early adopter or beta tester. Facebook and Twitter often try out new methods of advertising, so look for opportunities to put yourself on the ground floor of new marketing methods.